On February 26th, the Alberta Environmental Appeals Board (AEAB) issued a Report with recommendations related to Orders issued by the Alberta Environment Ministry for the remediation of a former wood preservative facility in Edmonton. The site had been owned by Domtar Inc. and had been used to treat wood with preservatives from 1924 through to 1987. The property was purchased by a Cherokee Canada Inc. in 2010. Cherokee planned on remediating the site and developing a residential neighbourhood. The Board also concluded the Alberta Environment had no basis for issuing Enforcement Orders against Cherokee. The Board stated that more clean-up of the site is needed, but none of it is an emergency as claimed by the Alberta Environment Ministry. If Cherokee had not appealed the Order and won, it would have faced a very significant cost in removing and disposing of the contaminated material. The company estimated the cost to conform to the Orders to be in the at least $52 million. On March 7th, the Alberta Ministry of the Environment and Parks released the results of analytical tests performed on soil samples taken at the former wood treatment plant along with findings from a human health risk assessment. The risk assessment concludes that contamination at the site is hazardous to human health. 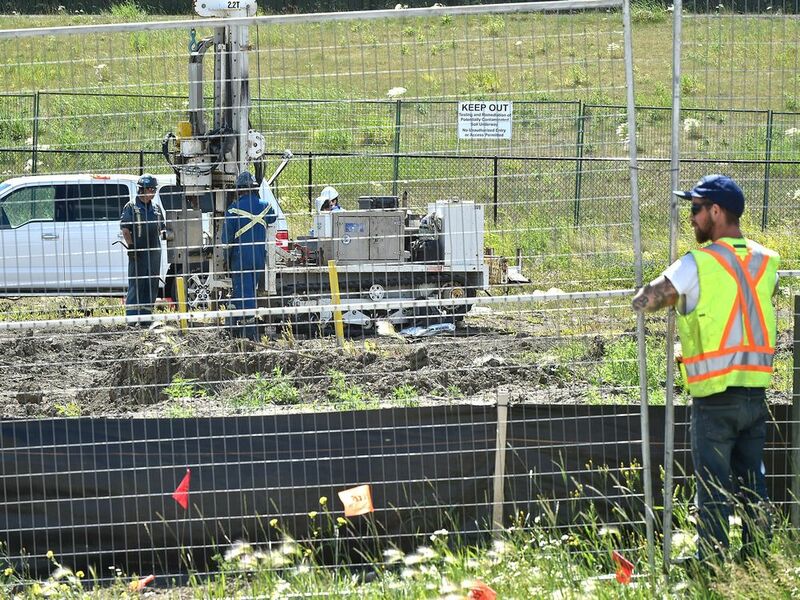 Officials from the Alberta Ministry of Alberta and Parks conducted sampling at analysis of the soil at site of the former wood treatment plant at various times between 2017 and 2018. The sampling program consisted of sampling surface soil and subsurface soils at more than 1,039 locations at the property and collecting/analyzing over 1,457 soil samples. The results from the analysis of the soil samples indicate 183 samples have levels of contamination that exceed human health guidelines for dioxins and furans. Of these, 96 per cent are located in fenced-off areas. A number of other contaminants of concern for human health are identified in these reports. Remediation of those locations remains the responsibility of the companies previously ordered by Alberta Environment and Parks to clean up the site. Alberta Health issued the finding of the Human Health Risk Assessment. It made a preliminary comparison of the rates of cancer, miscarriages and birth defects in the surrounding neighbourhoods. 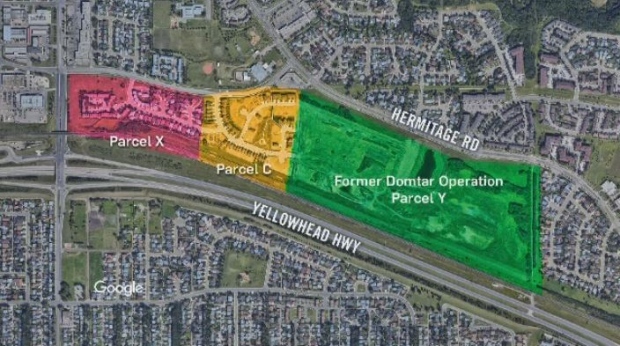 This initial analysis found no difference between rates in the area near the former Domtar site compared with other parts of the province, with the exception of three types of cancer. No differences in any childhood cancers were found compared with other parts of the province. This data on its own does not indicate why there are higher rates for these three types of cancer in the area. Many factors could contribute to an increased risk of cancer, including but not limited to medical history, medication use and tobacco use. Alberta Health will, therefore, be working immediately with federal experts to conduct a field epidemiology investigation to try and identify what population health factors might have contributed to higher rates of these three cancers. The Alberta Environment press release states, as a precautionary measure, women who have lived in the area for 10 or more years should talk to their doctors about the risks and benefits of starting breast cancer screening at the age of 40. This is a precaution until the results of the field epidemiology study are available. The site itself had been used as a wood preservative plant by Domtar Inc. from 1924 until 1987. The plant manufactured “treated” wood products such as railway ties and telephone poles. The wood products were treated with chemical preservatives, such as creosote, to prolong their lifespan. Between 1987 and 2008, the plant was decommissioned and Domtar conducted a partial remediation of the property including soil testing. Contamination remains in the subsurface including creosote, polycyclic aromatic hydrocarbons, dioxins and furans. Cherokee Canada Inc. bought the site from Domtar in 2010 for $1.8 million. The purchase of the property is made with the company fully aware of the contamination at the site and with the acknowledgement by the Alberta Environment Ministry of a remediation plan to clean-up the property prior to redeveloping it for residential use. Between 2011 and 2016, Cherokee Canada Inc. works on its remediation plan. Part of the plan consists of constructing a berm with contaminated soil from the site and covering it with clean soil. Cherokee Canada Inc. claims the berm structure contains contamination and that natural attention of the organic contaminants in the soil will occur over decades. A 2013 environmental risk assessment conducted by Cherokee Canada Inc.
concludes that the constructed berm should not lead to any adverse health or environmental outcomes. The Alberta Environment Ministry approves a remediation certificate for a parcel of the site and allows for construction of a residential housing development on the parcel. By October 2014, the contamination berm is nearly complete. The Alberta Environment Ministry claims that it was the first it had heard of the berm’s construction. The company says the province knew about the project all along and even had representatives on-site from time to time. 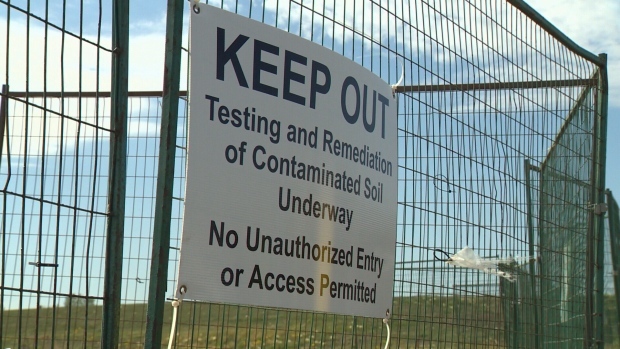 In 2016, the Alberta Environment Ministry conducts its own environmental testing at the site and claims that there is evidence of naphthalene in most of the samples, and that the substance is not contained. Late in 2016, Cherokee sues the Province of Alberta for $126 million, claiming Alberta Environment acted in bad faith by “recklessly” changing its position on the remediation plan after the company had already spent considerable money. Also in 2016, Alberta Environment issues an Enforcement Order that requires Cherokee to conduct further environmental testing. It also issues an Environmental Enforcement Order against both Cherokee and Domtar requiring further environmental testing in other parcels at the site. In 2018, the Alberta Environment Ministry said third-party testing at the site found chemicals dangerous to human health. It imposed five enforcement orders on Cherokee, requiring the company to remediate any contamination. Cherokee appealed the decision, arguing it had already undertaken remediation efforts (as had Domtar), including isolating and protecting contaminated soil from exposure. The February 26th, 2019 decision by the Alberta Environmental Appeals Board vindicated Cherokee as the Board stated the Orders were inappropriate. In response to the Alberta Environment’s March 7th announcement, Cherokee issued its own press release. In the release, the company claims that Alberta Environment March 7th publication provides unsubstantiated information to community members about potential health risks. It also states that the issue of health risk and the appropriate standards and scientific criteria for remediation for certain chemicals of concern were addressed in by the Environmental Appeals Board in 2018. On March 13, Alberta Environment and Parks Minister Shannon Phillips released her decision on the appeal of the orders issued to Cherokee Canada Inc., 1510837 Alberta Ltd. and Domtar Inc.
An order to Cherokee Canada Inc. and 15120837 Alberta Ltd. to conduct sampling and remediation within the neighbouring community and for the berm to the south of the community to address the presence of dioxins and furans. An order to Domtar Inc. to conduct sampling and remediation within the neighbouring community and for the Greenbelt to the south of the community to address the presence of naphthalene, dioxins and furans. A spokesperson for the Province of Alberta pointed out the AEAB’s recommendations “did not take into consideration the new testing results and health outcomes issued by the chief medical officer of health, as this information was not before the board at the time of the hearings (see below).